Kit In-Car Charger for Apple iPad / iPad 2 - Black. 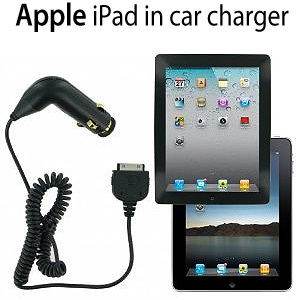 This popular in car charger kit for your Apple iPad or iPad 2 is custom made to charge your ipad on the move. 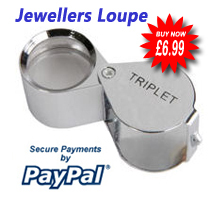 Couple that with the amazing price and you have yourself a bargain! This ipad car charger is plugged into the cigarette lighter port for its power supply in your car. When using this car charger, your Apple iPad will be supplied with power as it charges the battery at the same time. You can use your iPad while charging as the charging will not interfere with the functionality of your iPad The in car charger for Ipad gives a fast reliable charge, reacts automatically to battery conditions for optimum charging and with a stretchable cable easy to store and use on the go. This iPad charger arrived today and works perfectly. I was a little cautious about buying a charger on line as the iPad requires a stronger charge to work, it requires 2AMPS to charge and this charger delivers it. It looks good and charges quickly for an in car charger. BUY THIS charger if you want one that works and is made to last, great buyer, next day delivery. * DO NOT BUY A CHARGER WITHOUT 2AMPS OF POWER, IT WON'T WORK!